A heavy dose of vinegar and spices give Gunshot its unique sour and earthy character that forgoes sweetness in favor of fully featuring its nuances that include horseradish, celery, and pepper. As background stories go, this sauce may take the cake as my favorite. 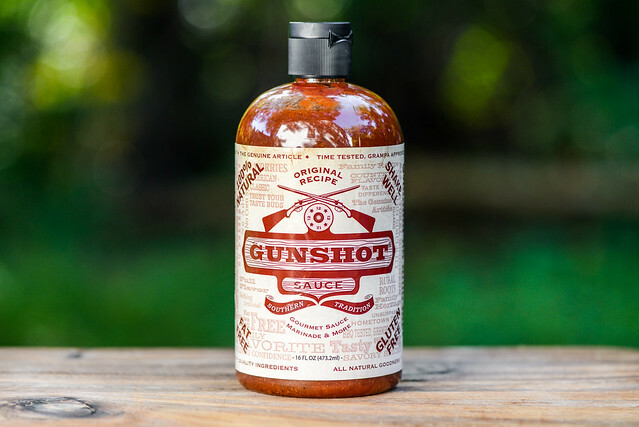 The sauce is currently produced by Will and Arlene McCarthy out of Knoxville, TN, but its roots go back to Will's great grandfather who was known to load shot gun shells with sauce and fire them into his barbecue as a means of injection. The legend goes, when the neighbors heard that shot gun go off, they knew some barbecue would soon follow. Will and Arlene revived Grandpa Wilford's sauce in recent years and appropriately dubbed it "Gunshot." There's currently two varieties—original and hot—available in stores throughout eastern Tennessee and western North Carolina, as well as online. A wallop of vinegar and punch of heat fill the nose on first whiff of Gunshot. The spice has the distinct sharpness of horseradish with some peppers giving it added depth. The base has the deep acidic aroma of tomato paste with little to no sweetness at all. It takes some deeper smelling, but with extra effort, there's hints of onion and celery lingering in the background. 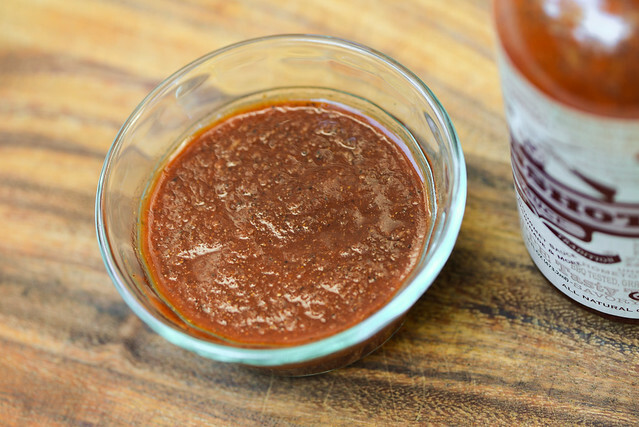 You can clearly see this sauce it made up of a ton of spices—it has a plethora of red, black, and white specs that are so numerous that they give this rusty red sauce a textured appearance. 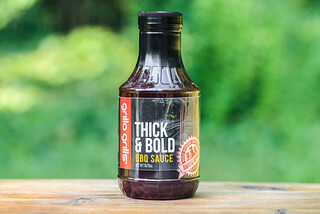 On the thickness scale, Gunshot weighs in at medium-thin, having a consistency that lets it pour very quickly off a suspended spoon in a somewhat steady stream, which is made a bit uneven due to all those spices. Once the sauce has finished its final few drips, a very thin, patchy layer of sauce is left clinging to the spoon. 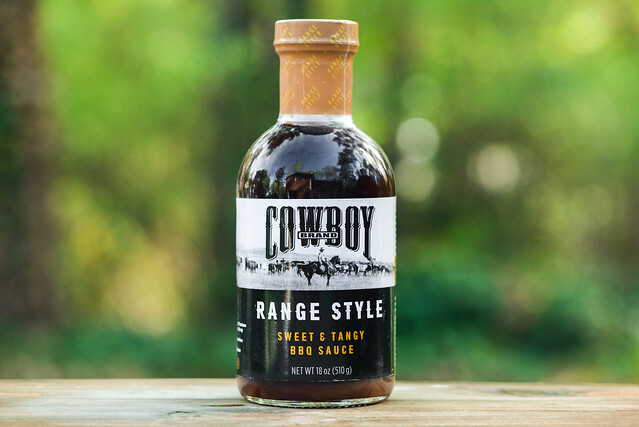 Saying this is a heavily vinegar sauce is an understatement—it has the sour, pucker inducing flavor of standard vinegar from start to finish. That intense tang is intensified by additional acids as well, most notably by lime juice, which bring a little fruitiness to the party. There is a tomato paste flavor that plays a background role to the vinegar, while the spices come out as the sauce settles on the tongue. First the sharp burn of horseradish has its time in the sun, while a stronger ground pepper flavor defines the final taste, which is hot and tangy. Although there's a faint note of celery salt, the garlic and onion that could be discerned a bit in the aroma are difficult to pick up when tasted. The sauce coated the chicken leg in a thin, but even layer. As the chicken roasted over indirect heat, the moisture evaporated from the sauce, leaving the chicken with a dry spiced look. This spice layer suffered a little burn off over direct heat, but no burning and only a tiny bit of caramelization. The flavor pretty much matched the looks—it tasted like eating a bowl of slightly moistened spices. The chili flavor was more pronounced than out of the jar, giving the chicken an earthy character. The onion and garlic I lost in the raw state were also a bit more prominent after being cooked, as was the tomato. The intense sourness mellowed a lot, but was still strong enough to create a decent tang that tied the whole thing together. Gunshot is a pretty interesting sauce. There aren't too many out there like it, and for what it is and how it preforms on the grill, it's probably the best of the extra-heavily spiced sauces I've tried—faring way better than the off-tasting Arthur Bryant's. Still, the intensity of the vinegar and spices makes it bit overwhelming for my taste. I would think it might be a tad too strong on pulled pork, covering up some of that great smoked meat flavor. On the grill, it certainly made for a full-flavored piece of chicken, but I think its super spiced, earthy flavor wasn't quite the right match, laking the balance just a bit of sweetness would provide. So while it's a good sauce that tastes like it's made up of quality ingredients, I feel you'd really have to be into the heavy vinegar and heavy spices for Gunshot to be the right match for you. Of course these reviews are just one person's opinion, and I'm always interested in what others think. Luckily Will McCarthy from Gunshot has made that easy by providing an extra bottle for me to giveaway to all you Meatwavers! 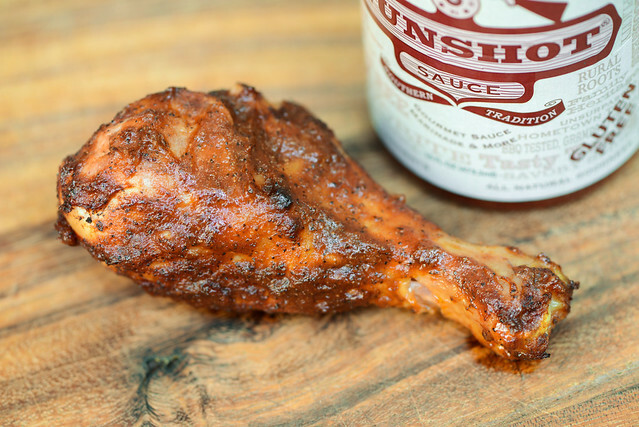 To enter the giveaway to win this sauce, comment on this post with what your favorite thing is to grill in fall. Deadline for entries is 11:59pm on Tuesday October 27, 2015. Read the official rules for more details. One entry only per individual. Good luck! My new favorite is to smoke store bought Kielbasa for 45 minutes, then grill it and lather bbq sauce on it until it chars. apples with butter, brown sugar, and cinnamon, then wrapped in pie crust and smoked for 1-1/2 hours. Would love to try this with the chicken we grill for the week. smoking a turkey with bbq in the fall is yummy! I do enjoy grilling chicken as well as venison in the fall. I love grilling whole game hens this time of year. I feel like fall is the season of food you aren't supposed to eat with your fingers but when no one is looking you do anyway (i.e.pie, stuffing, cold turkey). Plus, smaller versions of regular sized foods are always fun. "You want a grilled game hen to go with your slurpable squash soup served in a mug?" YES, YES I DO. Can't wait to gather around a fire on a crisp Fall evening with friends and family and grill some juicy ribs! Love the vinegar and spices that only Gunshot Original sauce can provide. And when it's deer hunting season - I hope to kill a big buck and rub some tasty Gunshot sauce on the tenderloin and have some mighty fine eating! Getting hungry thinking about it all! Been doing a lot of Brazilian-style pineapple with a glaze including soy sauce and brown sugar (similar to a salmon glaze). My kids are addicted to it, and introduced it to the kids across the street (all 5 of them!) Next thing I knew the neighbors were over asking how to make it. Super easy! the last of the fresh striped bass. Grilling thick pork chops this weekend. Yum! My favorite thing in the fall (and spring, summer and winter) to grill is New York Steak! Chicken comes a close second. We like to grill just about anything! The other day we grilled some delicious steaks! This giveaway has ended, congrats to Doug on winning! I've seen this in several stores around town here in Knoxville but I've never picked up a bottle. I was curious about how it would come across and your reaction was pretty much what I had guessed. This sauce sounds fantastic !! Plan on getting some tomorrow%uD83D%uDC4D Just watched a show on TV about you and the history behind it. Best wishes, and looking forward to your aoli sauce! Yum. I think this sauce could dance up many dishes, sauces and meats ! Looking forward ! Best thing to grill in the Fall is ribs! Slow cooked with Gunshot Original Sauce! Make potato salad and baked beans - add some sauce to the beans! Delicious! Have friends and family over and watch the Alabama football games. Live in Corinth, Miss. 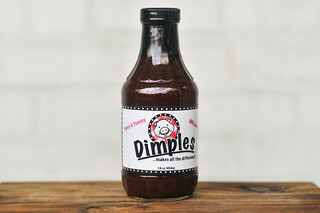 not far from Memphis, and always looking for vinegar based sauces to bring out flavor and not cover up with those dang sweet sauces that everyone puts out. Love to smoke pork ribs and grill burgers and chicken.